In May of 2009 Paula Minnis began volunteering with the International Rescue Committee as a mentor to a Burmese refugee woman, Catherin, and her two young children. She felt a call to make a difference with the refugee community in Dallas, and the IRC provided just the right opportunity for her to do some good work and build lasting relationships. Paula had no idea that this volunteer role would evolve into GAIA, a social business that would have the potential to reach even more refugee women and their families. In her role as a mentor, Paula worked on basic conversational skills with Catherin. They were studying vocabulary words one day when they came to the word “sew.” After Paula described the English word to Catherin, she realized that her pupil had some basic sewing skills, causing an idea to pop into Paula’s mind. In September 2009, just four short months after Paula had started volunteering with the IRC, GAIA was born. The business’s mission was to help refugee women thrive in their new communities, and the name GAIA, meaning “Goddess of the Earth,” was chosen to honor and lift up all women, including the refugee artisans who create products and the customers who buy them. 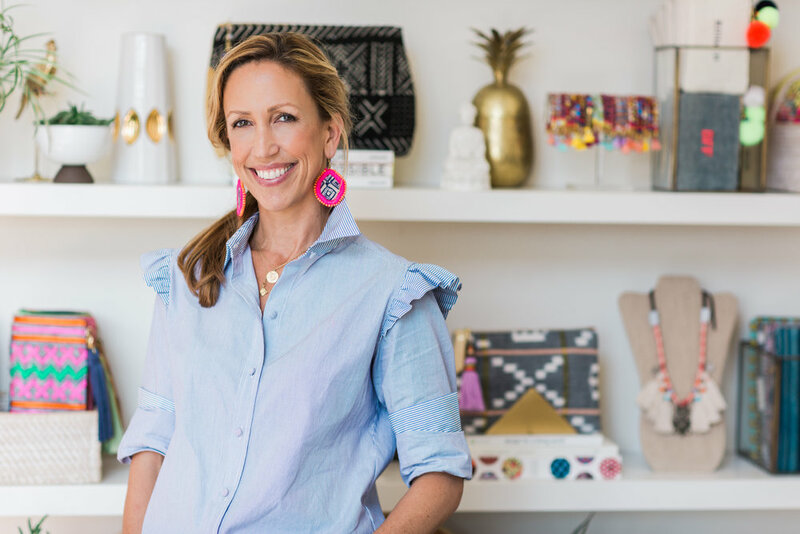 What began as Paula and Catherin working on products with Paula’s vintage textiles blossomed into a booming business that sources textiles from all over the world. There are now 17 artisans and apprentices who work to create the beautiful pieces (including bags, accessories, pillows, and jewelry) that are sold by GAIA, both on their website and through collaborations with other brands, like J.Crew. While the products have received rave reviews, it’s the women that GAIA serves that continue to inspire Paula on a daily basis. Of course, as with any good, hard work, there are obstacles to overcome along the way. Paula told us that one of the difficulties they face at GAIA is overcoming misconceptions about refugees as a whole. Paula loves that Dallas has become a place that the artisans can call home as well as a place where GAIA can thrive. Paula finds inspiration in the arts community in our city, particularly in places like the Nasher Sculpture Center, the Dallas Museum of Art, and the Winspear Opera House. To learn more about the amazing work that GAIA is doing in Dallas and around the world, visit the company’s website.